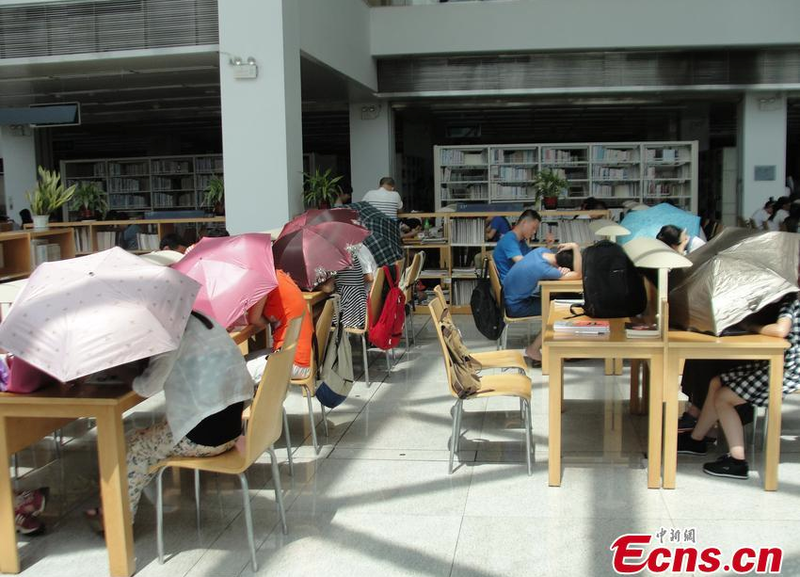 Superstition has it that putting up an umbrella indoors brings bad luck – but that hasn’t stopped these students from taking drastic action at their local library. 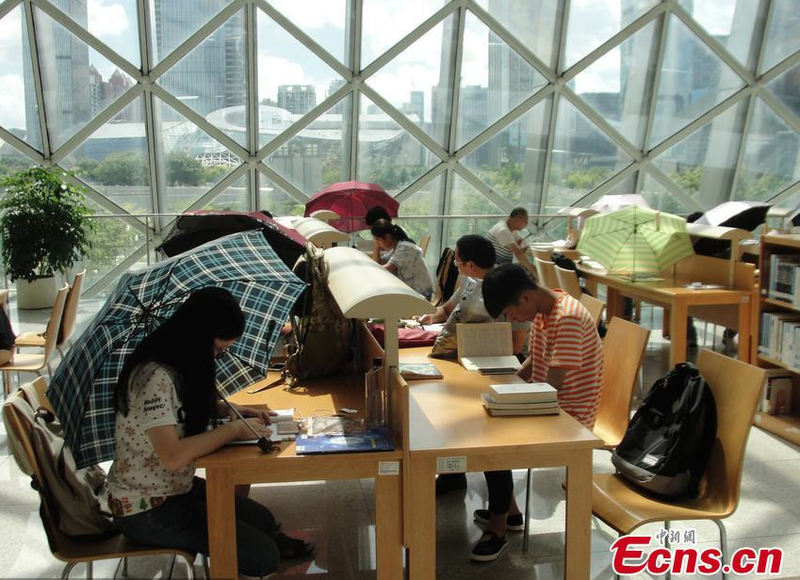 Chinese readers holding umbrellas in a Shenzhen library. 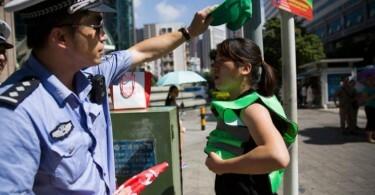 Photo: ecns.cn. 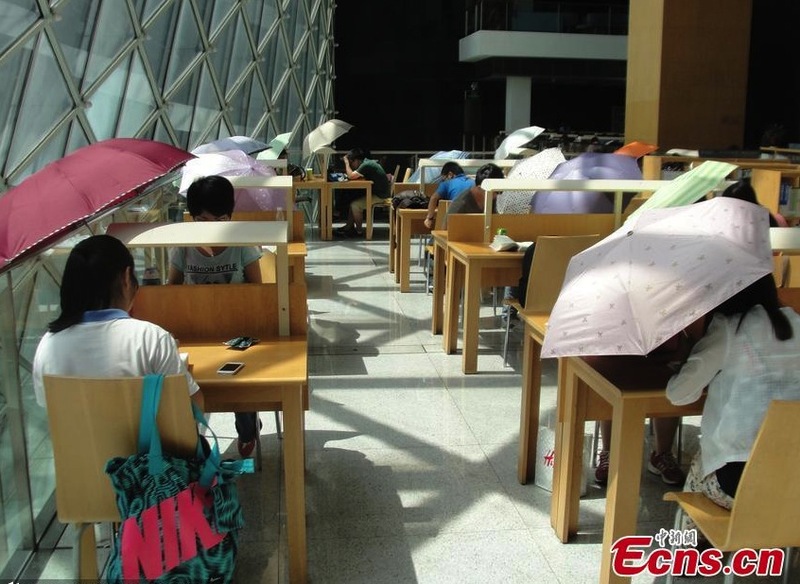 Rows of readers in Shenzhen are being forced to take cover to protect their eyes from the sunlight pouring through the slanted floor-to-ceiling windows. 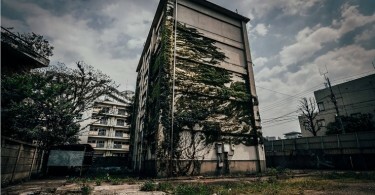 They might not be the smartest students, but there’s no doubt they’re some of the brightest.